The ease of use of CIVA, the power of finite elements... But fast! CIVA-ATHENA2D is an “add-on” module available with CIVA UT . This tool consists in a hybrid module, using both conventional semi-analytical methods of CIVA and the FEM code ATHENA (from EDF). The connection with Finite Elements allows taking into account more complex phenomena that can occur in a UT inspection. In CIVA-ATHENA2D, a finite element rectangular box is defined. Out of this box, the UT beam propagation is modeled with the conventional CIVA semi-analytical pencil method. 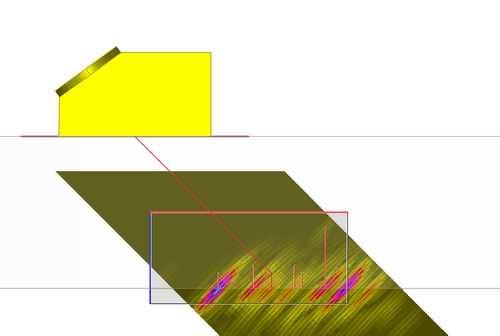 In the box, calculation is made by FEM using the incident beam calculated on the box boundaries as an input. Typically, FEM will be used to simulate UT beam / defect interactions (and beam / geometry interactions) whereas the fast semi-analytic model is used to simulate the round trip propagation of ultrasounds from the transducer. 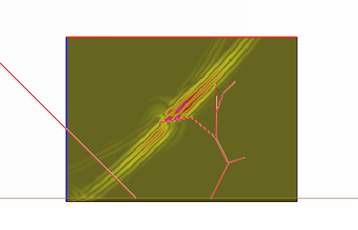 These possibilities allow precisely simulation of the response from clusters of flaws or from complex flaw profiles accounting for multiple reflections and the generated surface waves. Even if 3D effects are ignored, no restriction is made on the available components in the user interface compared to CIVA UT. As this is a 2D module, to give quantitative results, the user shall consider component geometries that can be locally considered as 2D, or at least that make sense in 2D. As this is a 2D code, only a 2D section of the transducer is modeled. But no restriction is made in the transducers available in the user interface. User will pay attention to the defined transducer (in terms of focusing or crystal shape) so that the 2D simulation makes sense. The scanning of the probe will be in the incident plane only as the 2D box is fixed in this plane. 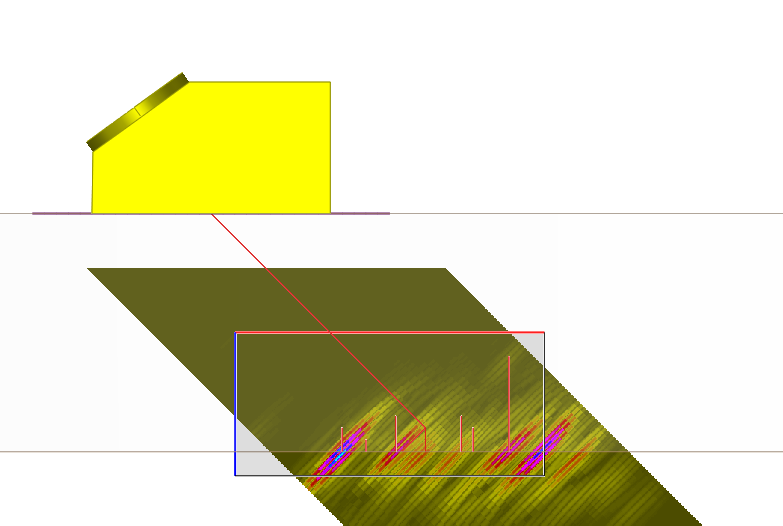 Tandem configurations are allowed but only make sense if the incident and reflected beam at the box boundary is a direct beam for both the transmitter and emitter. TOFD configurations are also available but only with a scanning in the incidence plane. The phased array settings of CIVA UT are available in CIVA-ATHENA2D, the calculation can be done for one or several shots. The flaws that can be defined by their 2D cross-section are available: Planar, multifaceted, branched, and Side Drilled Holes. In addition to the classical curves and images already available in CIVA UT (A-scans, B-scans, 3D view, reconstructed view, etc. ), CIVA-ATHENA2D allows visualizing defect scattering phenomena by displaying snapshots of the beam in the FEM zone (maximum amplitude, or propagation versus time and video). 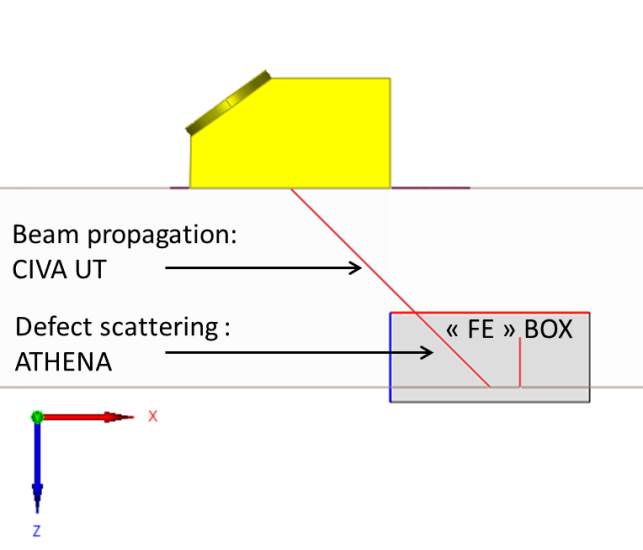 In addition to its advanced capabilities, the coupling between CIVA and ATHENA has other advantages: the computation is faster than a complete Finite Element computation, while all phenomena are accounted for regarding the beam / defect interactions. The configuration is defined in the "user-friendly" CIVA interface, with very few specific parameters for the FEM calculation. Therefore, CIVA-ATHENA2D is easy to use. Besides 2D configurations, using CIVA-ATHENA2D remains interesting for qualitative analysis.